As it happens ever year around this time, the days become longer and the temperatures slowly start to rise. While the bright colors of spring and warm days of summer are favored by many, it is those that crave the brisk chill of winter and its inevitable companion, “snow,” who sadden with the oncoming spring. Sorrowfully, snowshoes and skis and gloves and hats will be stored away until next year’s snow. Before spring makes its cheery entrance, however, perhaps it would be fitting to recall some of the more spectacular winter days. 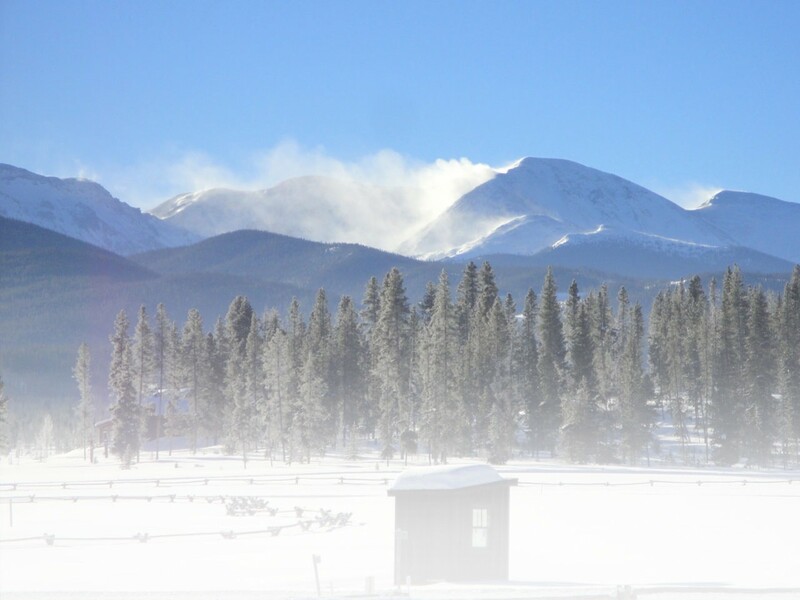 One in particular was the Ninth Annual Winter Trails event held at Echo Lake in beautiful Idaho Springs, Colo. on Jan. 17 (similar to events held across the nation that day). Blessed with a dusting of a few fresh inches from the snow gods, Echo Lake, located just north of Mt. Evans (one of Colorado’s infamous Fourteeners), glistened with champagne powder and the smiling faces of many winter sports enthusiasts. While the 14-mile drive up highway 104 seemed absent of many travelers, upon arriving at Echo Lake it was obvious that many had the similar notion to spend that Saturday afternoon hiking in one of Colorado’s most beautiful areas – quite the fitting place for this event. The Winter Trails Day, sponsored by EMS and others, is geared towards anyone and everyone that has an interest in learning more about snowshoeing while enjoying the beauty of your area’s local community parks, nature centers and public recreation lands. The incredible turnout for one of the Colorado 2004 Winter Trails Day events was enhanced not only by the variety of sponsors (REI, Redfeather, MSR, Tubbs), but as well as the volunteers from the Alpine Rescue Team and, of course, the plethora of eager snowshoers. The day began at 10 a.m. with steaming cups of cider and hot chocolate, coupled with a healthy dose of representatives from various manufacturers excitedly waiting for you to demo one of their snowshoes. Whether deciding to try your hand at Redfeather’s newly V-shaped design or perhaps, as I did, MSR’s Evo Ascents (which feature a heal bar that flips up for steep climbs), inevitably you were greeted with a smattering of enthusiasm and knowledge. A calendar of the day’s events, posted next to the beckoning snow covered lake, offered guided snowshoe tours (ranging from beginner to advanced), information sessions, raffles (proceeds donated towards the support of the Alpine Rescue Team) and much to everyone’s delight, snowshoe soccer. It doesn’t get much better than watching a crowd of snowshoers trying to kick around a soccer ball. Although learning about snowshoes and listening to the animated experts explain each one’s features was certainly informative, the best part of the day was definitely the guided snowshoe tours. I joined an eclectic group of people who had gathered on the west side of the lake waiting for one of the 30-minute tours to commence. Within minutes we began to trudge across the lake and a short ways up into the mountain. One of the beauties of the Winter Trails organization is that so much of what they do is focused towards the recreational winter athlete, many of whom are relative novices when it comes to snowshoeing. With that it mind, the guide deftly led the group up some minor inclines and over some trees, explaining the while how best to maneuver each when wearing the snowshoes. The sheer delight and glow on the faces of those in the group was a testament to what an amazing sport snowshoeing is. Not only can it provide health benefits that are second to none but also it caters to such a wide variety that undoubtedly everyone can enjoy it. In this tour alone there was a recently retired couple in their mid-60s who had just begun to explore all the different winter sports, a young girl that couldn’t have been more than three-feet tall and Steve, one of the Rescue Team’s longstanding volunteers. And there was not one bored person in the lot. For those that were unable to attend any of Winter Trail’s events this year, it is highly recommended that you check a couple out next season. But while spring is just around the corner, it is almost guaranteed that no matter where you are there will be a couple more snowfalls this winter. A couple more times to enjoy the beauty of winter and all the fun it has to offer. And as snowshoeing continues to grow in its popularity, we can all look forward to more and more days like Jan. 17. Enjoy pictures of the day in the Photo Galleries section. For more information on Winter Trails, visit http://www.wintertrails.org. This entry was posted in Features, General by Katie Eggers. Bookmark the permalink.